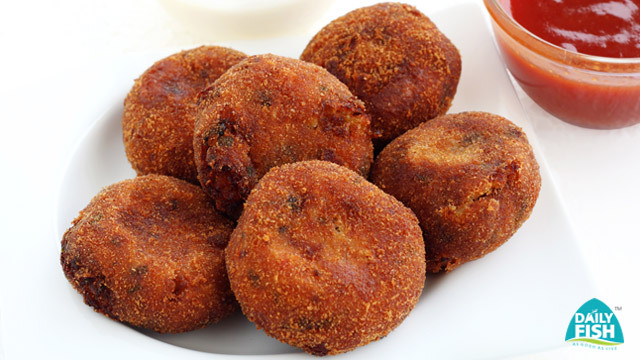 This healthy recipe of fish cutlet can be eaten as an appetizer. In a vessel boil fish with kodampuli, salt and little water. Mash it and keep it aside. Boil potatoes and mash it and keep it aside. In a pan pour oil and saute chopped onions and ginger. To it add chopprf tomatoes chopped and green chillies and saute. 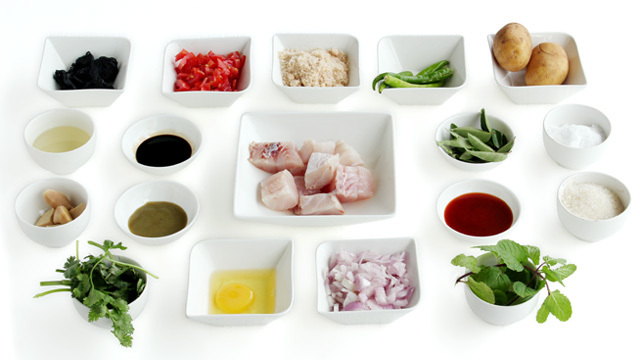 Then add all the leaves, cut finely pepper powder, sugar, soya sauce, tomato sauce and salt and saute. Make small balls with this mixture. Dip this in beaten egg and toss in bread crumbs. Deep fry in oil till it is cooked and golden brown in colour.